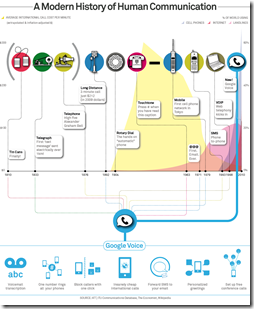 This infographic is intriguing because the most interesting part: the graph of call costs is hidden behind the jumble of labels – I didn’t even notice it until Ben Edmonds pointed it out. For the heck of it, I’ve also linked to other communication timelines. The middle poster is missing it’s href. Just fyi.